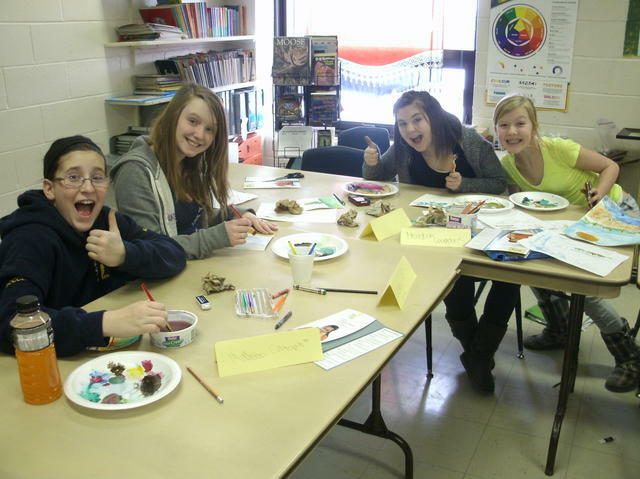 Last Friday, March 25, was Art Enrichment Day for the Blackville Middle School Art Group. Art teacher Theresa MacKnight from Miramichi Valley High School spent the day with the students, and the students' work was submitted in the Miramichi Salmon Association Art Contest. For more photos from the art enrichment experience, click here.